Protection from the sun is vital for healthy skin! 302 Skincare Sun Protection are great choices for defending your skin from the sun’s rays. This product protects skin from UVA and UVB rays that cause premature aging or other skin disorders. Alana is happy to be able to offer this excellent 302 product to her clients. Alana offers ten 302 Skincare Sun Protection products. Here are a few of them for you to review; see more on our website! 302 Skincare SPF 15 – This products offers long lasting sun protection. It is not greasy and doesn’t feel heavy on your skin. Along with UVA/UVB protection, it moisturizes your skin. If used properly, this product can diminish your chance of getting sunburned by up to 93%. This is available in a tinted or non-tinted formula. 302 Skincare SPF 30- Does your life revolve around the great outdoors? Skincare SPF 30 is waterproof and a great choice for all your outdoor needs! Reduce your chance of sunburn by up to 97% with this product! This product is available in a tinted or non-tinted formula. 302 Skincare SPF 50- The next step up in skin protection. This product blocks sun yet leaves your skin feeling soft and moisturized. It is easy to spread and uses zinc and titanium oxide to prevent the sun’s powerful rays from damaging your skin. This waterproof formula is great for the whole body! 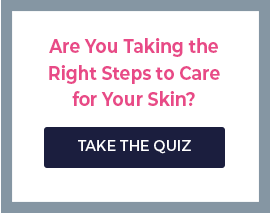 How Can I get my 302 Skincare Sun Protection Products? Skin Care by Alana is the best place to online to buy 302 Skincare Sun Protection! This is a strong tool in skin care defense; you will need to talk to one of our experts in order to purchase this product. Chat with us online or call us (888-222-0637) and let us help you find the right 302 product for your skincare needs. We are open seven days a week and ready to answer your questions! Contact us today and start your path to more beautiful skin!